Manufactured spending is a fickle beast; One that’s hard to track, one that’s hard to tame. The challenge of manufacturing spend requires a challenger like none other. That challenger (or ers) must be willing to sacrifice hours of their time and risk thousands of dollars for somewhat free travel. It’s not for everyone. In fact, it’s important to ask yourself, “Should you manufacture spend?” before taking the plunge. 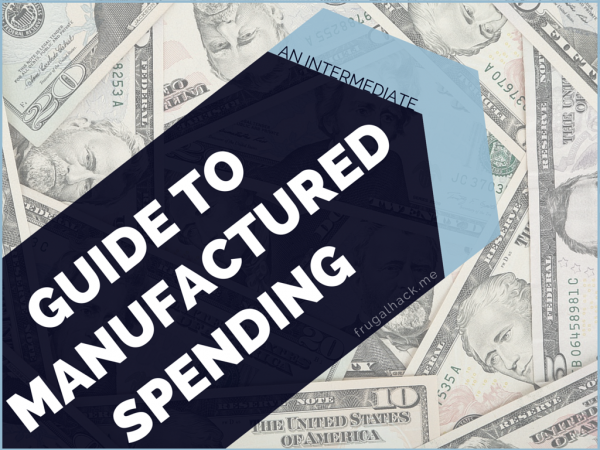 This post is a sequel to Beginner’s Guide: Intro to Manufactured Spending. If you have not read that post, please do before clicking “Read More.” Manufactured spending is not a hobby for the masses. Even though it’s risks and challenges are commonly downplayed and it’s benefits aren’t, it’s important to know exactly what you’re getting into. So, please check out those two posts I linked to above before continuing. If you’ve been around the block and/or you’ve finished reading the two articles listed above, chances are you understand the concept of manufacturing spend. Really it’s quite an easy concept, you turn a little money into a lot of points, but applying that idea is a bit harder. So, how do you apply it? What is the best way to manufacture spend? Is there a step by step guide? Those are all great questions… that I’ll get to. The trick to manufactured spending is to test limits – more than once. Don’t believe everything you read, because some people, especially on Flyertalk, post misleading information to try to protect their favorite MS methods. Other articles, primarily on blogs, can be outdated very quickly. By that I mean, manufactured spending methods change regularly for better or worse, so not everything you read will be the most up to date information. Not only is testing a good way to find new opportunities, it’s also a good way to diversify your manufactured spending. That way if one method dies, you’ll have a back up or multiple back ups. First, I like to make a small $20-$50 purchase or load to test the waters. If the purchase goes through without a problem, I’m on to step 2. If the register or online product stops the purchase, then I know it’s hard-coded. If the purchase goes through without a problem, I like to check if the purchase coded as a bonus category. Chasing The Points has a great post on how to find what each of your purchases post as. If it works without a hitch and codes as a bonus, then perfect, I’ll start ramping up from there. If it doesn’t code as a bonus category, I’ll try a different card and see how that codes. After I know it works, I start testing limits. For example, how many gift cards can I purchase in one day? Does the cashier care? ect. There are quite a few different manufactured spending methods available right now, but as I mentioned earlier, these methods change often. Because of that, I’ll just mention the ones I see staying around for a while. Prepaid cards are by far the best at manufacturing spend. That’s primarily due to the bill pay systems most of them have and the fact that many of them allow in-store cash credit and debit card loads. Take Serve, Bluebird, and REDcard, for example. They can all be loaded in-store with debit/gift cards and REDcard can be loaded with a credit card. There are limits to these cards ($5k a month and 1 card per person), but they have a lot to offer the MS world. Loading these cards is half the battle. The other half is unloading. Fortunately, many of the prepaid cards in this industry have bill pay systems and/or allow ATM withdrawals, so unloading the money is just as easy as loading it. I’m calling out Amex for Target in this post specifically, because I don’t think it’s for the light of heart. It’s easily loaded at Target with credit, debit, and gift cards, but it’s a bit more challenging to unload because it doesn’t have a PIN like a normal prepaid card would. The lack of a PIN makes AFT more like a credit card than a debit card, which means money orders are out of the question. The only good way to manufacture spend with AFT is to use ATMs which cost $3 in addition to the fee that the ATM owner charges. Money orders have always been my fall back method when manufacturing spend. More often than not, if I run into a problem with my prepaid or gift cards, I can usually turn their cash value into a money order for a very low fee ($0.65-$0.70 per $500-$1,000). AFT is obviously an exception to this, but I liquidate that with an ATM. The only problem with money orders is the fact that it’s sketchy. I don’t have a problem carrying around multiple pieces of plastic holding thousands of dollars, since they all have fraud protection, but carrying around a $1,000 money order freaks me out. It’s basically cash, so I lose it, I’m screwed. I also don’t like depositing multiple MOs into my bank account, because I’m sure that looks suspicious. Because of all that, I don’t funnel a lot of money into MOs – only a few thousand a month. At some stores, you can turn store gift cards into prepaid gift cards. What’s the point of that, you ask? For one, you can often find store gift cards at a discounted rate online. And for two, if you have a large stash of store specific gift cards that you don’t use, you can change them into prepaid gift cards, which you can then turn back into cash. It’s a beautiful thing! I wouldn’t say these are tell-all guides, but they’re a step in the right direction. Check them out to learn more about manufactured spending. Everything: Chime Card – This one is pretty much dead now, but it still has some uses. Manufactured Spending Without Vanilla Reloads – This is a bit older, but there’s still some good information that can be gleamed from it. Manufactured Spending Costs – It’s not only the fees. A Look Back at the Manufactured Spending Methods We Lost This Year – These methods come and go all the time, so don’t get to attached.